You are at:Home»Herbs»Rosa damascena Mill. Latin name : Rosa damascena Mill. Description : The flowers are analgesic, antidepressant, antioxidant, aperient, mildly astringent, cardiac tonic, carminative, constipative, febrifuge, purgative refrigerant, stomachic and uterine tonic and used as a general tonic. They also reduce high cholesterol levels and are useful for sore throat or enlarged tonsils. They strengthen the heart and brain, give relief in palpitation, delirium and anxiety states. Also useful in diseases of the stomach and liver. Gives relief to heat and quenches thirst. Rose water is mildly astringent and makes a valuable lotion for inflamed and sore eyes. Also useful in cases of syncope. It also benefits the reproductive system, treating infertility, erectile dysfunction and low sperm count. Alleviates liver pains. Recommended Dosage: Petals : 3 to 5 g powder of dried petals. ; Distillate : 20 to 40 ml. 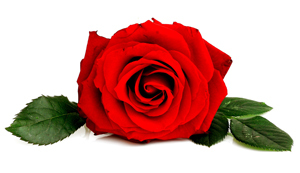 Contraindication : Rose has no known warnings or contraindications.